Nordic Gas´ commitment as a technology provider can be further developed to owning, operating and maintaining gas stations and providing refueling services to deliver gas for vehicle fleets at a bus depot, refueling facilities for heavy trucks etcetera. We take responsibility for the performance, security and operation of gas installations in collaboration with our customers. This applies for plants for pressurized gas as well as for liquid gas. 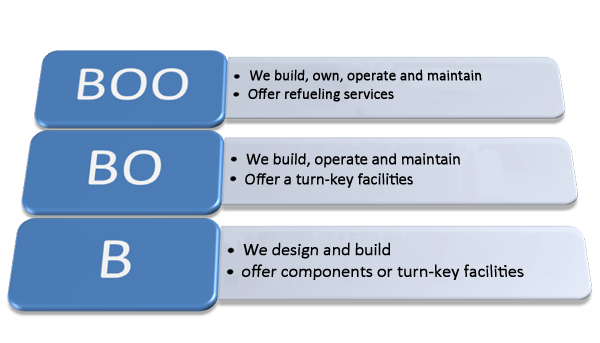 We can undertake a turn-key project from design to delivery of gas to the vehicles.